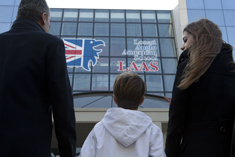 LAAS School, the mission of the School from Brescia, Italy. LONATI ANGLO-AMERICAN SCHOOL AIMS TO PROVIDE A HIGH-QUALITY, INQUIRY-BASED EDUCATION THAT SUPPORTS, CHALLENGES AND INSPIRES STUDENTS TO BECOME LIFE-LONG LEARNERS WITH A CURIOSITY AND APPRECIATION FOR THE WORLD AROUND THEM. The world needs well-rounded, informed, adaptable, internationally-minded thinkers and doers. At LAAS we recognize this. It is our responsibility to provide a foundation of learning to serve society. To that end, we support and encourage in our students the development of values, attitudes, skills and habits of mind with the noble view that the world can and will be made better through education. Trust, legitimacy and growth. These are the fundamental qualities parents seek in an educational institution for their children. Since 2013, with every new enrollment, LAAS has focused on offering parents this peace of mind. Just as it has done with other educational institutions which bear its name, the board of Lonati Anglo-American School endorses its commitment to parents with a pledge that – in Italian society especially – means placing one’s integrity on the line: Il vostro nome è una garanzia, or your name is a guarantee. At LAAS, our enthusiasm and drive for excellence are at the root of our motivation, and our work involves the dedication that supports a legacy. Year to year, LAAS concentrates its energy on serving the needs of its students, their parents and families. We provide and provision a facility of highest distinction. We hire, resource and retain qualified international staff. LAAS implements a well-designed curriculum that focuses on the disciplines of language, mathematics, science, social studies, the arts and personal, social and physical education. Additionally, the school involves itself within its community and across the globe with other schools, organizations and foundations which share the fundamental educational view that learning is a gift, a treasure and a necessity in an increasingly competitive and interconnected modern world.